To mark Veterans Day, the Alaska Volcano Observatory is honored to share this collection of images of Alaskan volcanoes taken by, or of, current and former members of the Armed Forces of the United States. These images capture Alaska volcanoes at rest and in eruption and are an important part of the historical and scientific record of volcanic activity in our Great State. 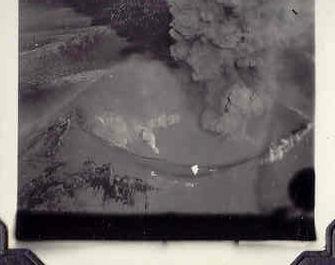 Documentation of volcanic phenomena in Alaska by our servicemen and servicewomen stretches back to World War II and continues to this day. We thank these men and women for their service to our country and to the mission of the Alaska Volcano Observatory.